Here are listed some examples of the kind of services professor Wilenius can offer to you, based on his 20 years experience around futures studies, consulting and teaching. In addition to being academic professor of futures studies, he has also worked as a senior executive and futurist in multinational company (Allianz) and has been involved with number of start-up companies as a partner. He has also served as a en expert in large number of governmental initiatives and bodies: for instance; he was for a number of years vice-chair of Finnish Consumer Agency. Professor Wilenius is also involved with NGO’s: he has now been 10 years a member of Club of Rome, allegedly world most prestigious NGO of all times, devoted to future of humankind. Markku offers speeches from 20 minutes up to 3 hours. 1) What do we mean by foresight and how do we understand it as a part of strategic thinking and operations of an organisation? 2) What are the key trends affecting our operating environment in the decades to come? Change processes in the organizations that need new outlook for their future are very familiar to Markku. He can help companies to transform themselves as they become more clear in their vision. Markku can make various studies on specific future themes. 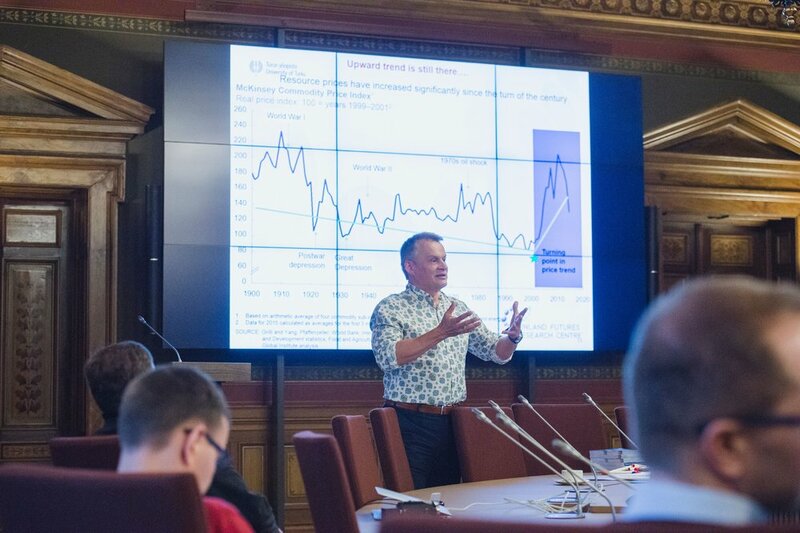 For example, in the winter 2010-2011 he conducted a study for Prime minister’s office in Finland evaluating long-term climate change and energy policy of Finland as it was expressed in the government’s report on Parliament. If you need to define a new course for your professional life, Markku can help you to find out what your new course could be. He can give you examples on several major changes he has done successfully in his own personal life. If you are interested in or have any questions about my services please don't hesitate to contact me!